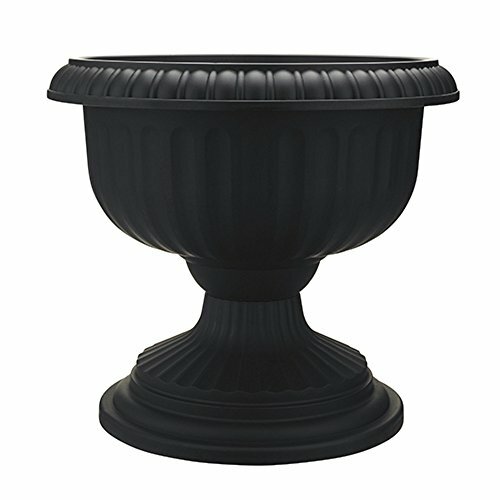 The Grecian Urn is a shorter variety of urn that is perfect for smaller plants and shrubs. It is a great accent piece for long walkways and entryways. The poly-resin construction of the Dynamic Design planter series provides a sturdy product that is light weight and UV protected. View More In Planter Urns. If you have any questions about this product by Dynamic Design, contact us by completing and submitting the form below. If you are looking for a specif part number, please include it with your message. Window Garden Rustic Charm 6” Planter - Fine Home Décor Ceramic Indoor Decorative Pot. For Herbs, Flowers, Succulents or Starting Seeds. Beautifully Packaged, Great Gift for Mom.